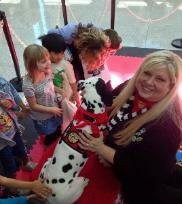 to teaching fire safety knowledge and skills to children and their caregivers based on fire safety research. Keep Kids Fire Safe® Foundation, 106 East Poplar Street, Suite 200, Clarksville, Arkansas 72830. "Helping keep children and their families safe." through entertaining and interactive strategies. are tax-deductible as allowed by law. 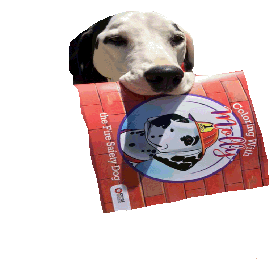 "Keep Kids Fire Safe Foundation"
Click on photo of Molly!